Heading South /Hawks Aloft Inc.
Western Wood-pewee. Image by Keith Bauer. The seasonal change in birds occurs at a breakneck pace this time of year. It seems as if it were only yesterday that we were relying on the songs of breeding birds to identify the different species. Now, the bosque is relatively silent, with only chip notes, contact calls, and the occasional late song. It makes our daily surveys far more challenging. Many of ‘our’ summer birds are no longer here, like the Ash-throated Flycatcher and the Yellow-breasted Chat. Or, if they are present, they are making themselves as discreet as possible. New arrivals appear daily, birds that breed farther north, like the Rufous Hummingbird, or at higher elevations, like the Western Wood-pewee. 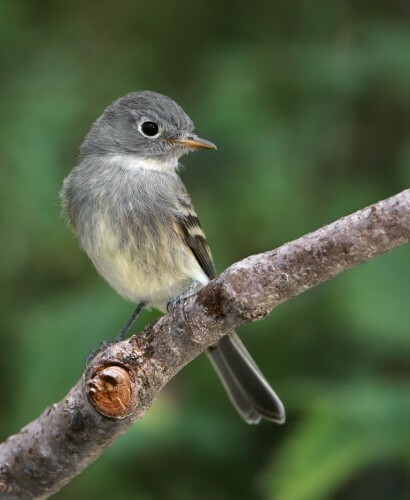 These little flycatchers are making themselves evident in the Rio Grande bosque, calling “Pee WEE”, from the tops of trees and exposed branches. It makes sense that they are among the earliest of fall migrants as they have a long way to go. Their wintering grounds are in Venezuela, Colombia, Ecuador, Peru and Bolivia. Townsend’s Warbler. Image by Keith Bauer. Another soon-to-arrive fall migrant is the Townsend’s Warbler. 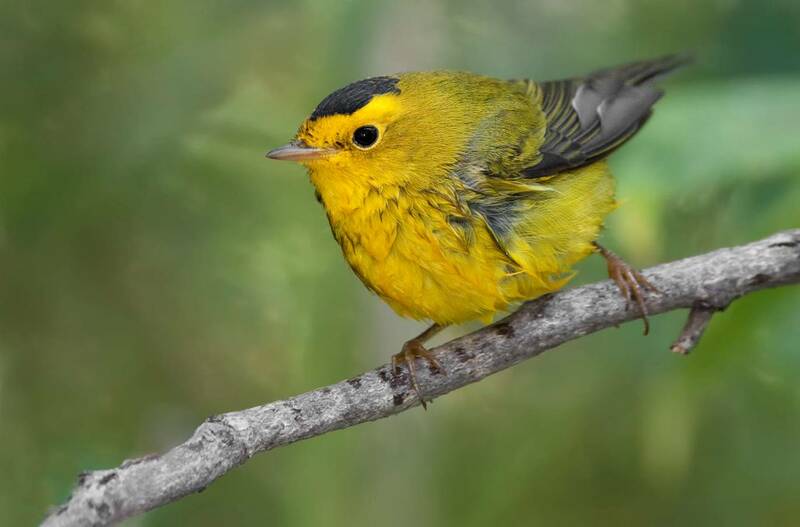 This little warbler breeds in the Pacific Northwest in coniferous forests from Alaska to Oregon. It winters in a narrow strip along the Pacific Coast, and in Mexico and Central America. On their wintering grounds, they feed extensively on the sugary excretions of scale insects. Although Townsends usually forage in the tops of trees, they use patches of the honeydew-producing insects at whatever height they occur. They fiercely defend territories around trees infested with the insects against other Townsend’s Warblers and also other birds. Wilson’s Warbler. Image by Keith Bauer. Wilson’s Warbler is another common fall migrant, sometimes showing up in huge numbers. These little yellow fellows with the bright black cap are energetic feeders and actively forage throughout all vegetation levels. Often, they can be easily identified simply by their active behavior. 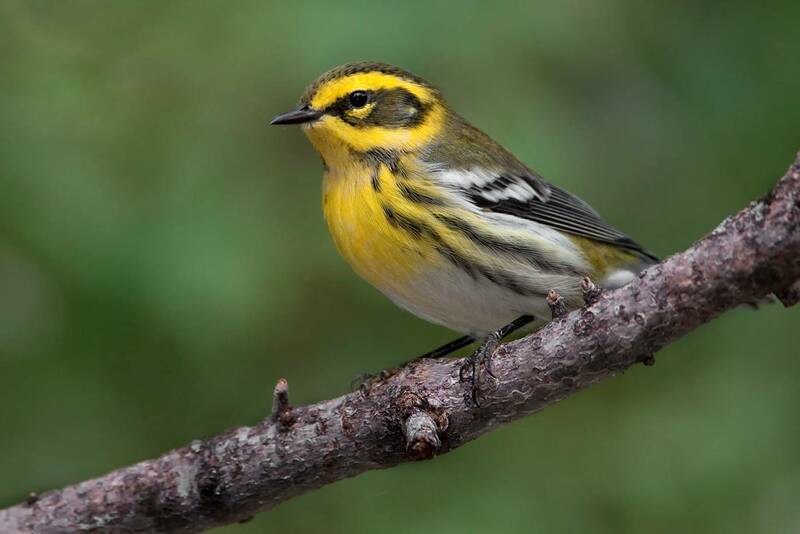 Although some Wilson’s Warblers winter along the Gulf Coast, the bulk of the population winters in Mexico. September is an excellent time to spend time in the field as rarities can show up just about anywhere! Grab your binocs and head out!